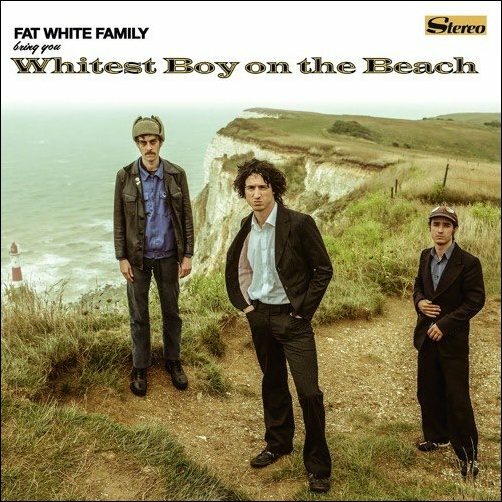 FAT WHITE FAMILY – New Single ‘WHITEST BOY ON THE BEACH’ Is A Knockout… | TURN UP THE VOLUME! Anarchists and fulltime dopeheads FAT WHITE FAMILY always surprise, as well with their highly inflammable music as with their chaotic behaviour. Last Thursday I saw them performing in Tourcoing, France. My third FWF experience (yes, I’m a fan… of their music). One never to forget. They quit after only five songs. Guitarist Saul Adamczewski and Lias Saudi were acting (not only acting actually) like stoned monkeys and didn’t feel like to play a full set. Wankers.